Just a forewarning, if you want to avoid spoilers, hit the road. Please, bail out now so I do not have to deal with weepy fans that happen to be a little behind on this show. 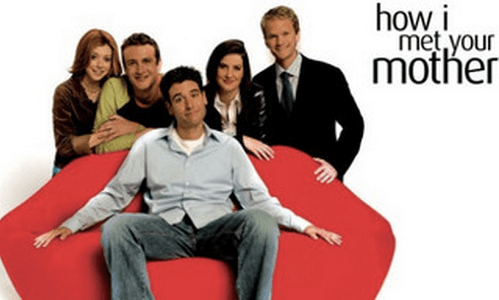 Similar to most college students and the rest of sane America, I have been completely obsessed with the television show How I Met Your Mother. For 9 whole agonizing seasons, I have waited most impatiently (while cry-laughing) for The Mother of the show to be revealed. Little did I know, that is not the only reason I was watching the show. It started out as this funny little pastime that I would enjoy for the short period each episode spanned. Then it quickly developed into binge watching on Netflix, purely for the enjoyment of being involved in these peoples’ lives. Before I knew it, I had become emotionally attached to these five very different but wonderful characters. You can imagine (and many have actually felt) my outrage when after this horribly long wait, The Mother/Tracy appears in only about half of the ninth season and then, in the end, dies of some nondescript illness. Not only that, but the entire final season was Barney and Robin’s wedding when they did not even end up staying together. Initially, I could not believe that after all of this “life” I had gone through with these people, that it just ended in tragedy, despite Robin and Ted’s getting back together. That was my initial thought. However, it turns out the whole show was actually about something completely different. In actuality, the build up is pretty obvious (once you know the ending). The whole show is basically Ted telling this extremely long, drawn-out story of his love life to his children. Often throughout the tale, Ted hints at various things that give away the end. Most stories revolved around the pivotal relationship he and Robin shared. Their relationship often emphasized his wanting to have children and her wanderlust and driven career goals. This drove them apart, which ended up being for the best. Throughout the telling of Ted’s love life, it always comes back to Robin. Even though in the end, he does move on to The Mother and eventually has the life he always wanted, it still all comes back to Robin. Ted even makes intimate statements, such as, “And that’s when I saw her. It was the love of my life,” which sound likes something a happily married man whose wife is in the next room would say. All of this leads to the final scene where the kids realize that the long story is an ode to their mother but also a confession of how their dad really feels about his best friend. It is then Ted’s children convince him to chase Robin once more. In a general consensus, some audiences felt that Ted never really loved Tracy. But this was not true. He only truly fell for Tracy after leaving Robin behind. And then, after meeting with tragedy and grieving for over half a decade, Ted does carry on, just like Tracy did after her significant other passed on earlier in her life. This last episode sported the idea, that the death of a loved one does not mean we should stop living and simply settle for being alone. It turns out, this finale was more of a beginning, a second chance at something kind of wonderful. While the show drug on for impossibly long during the ninth season and is agreed to have ended on a bit of a bummer, in my opinion, it will remain one of the best shows of our generation.